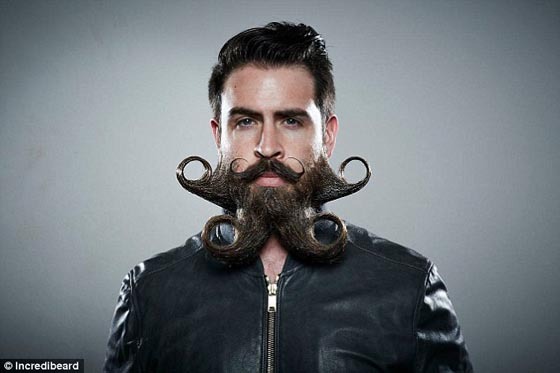 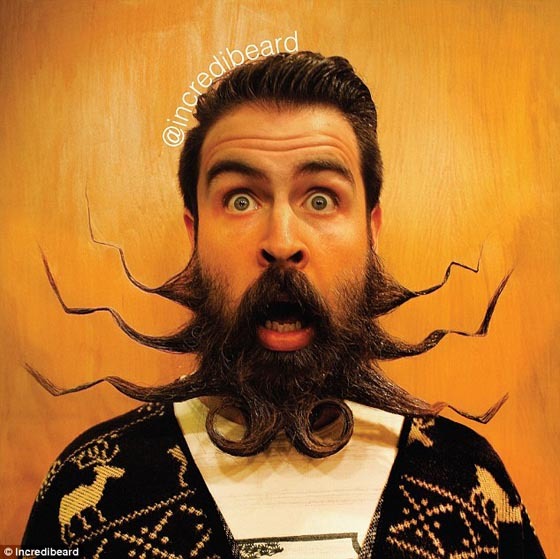 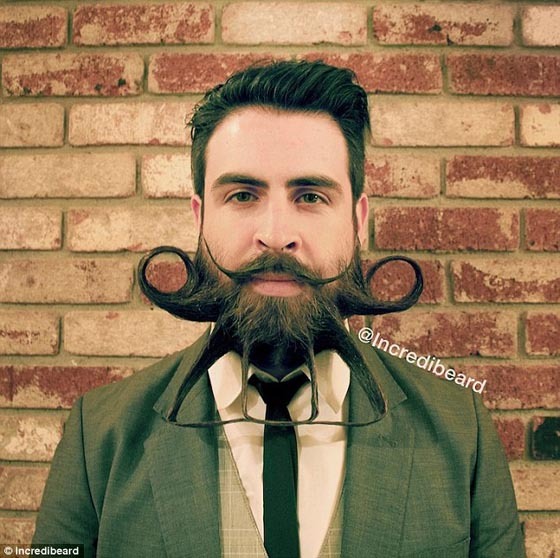 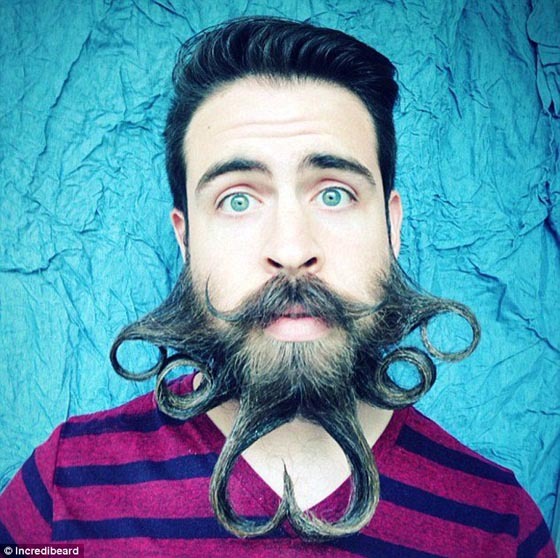 The 29 bearded star, Isaiah Webb from San Francisco has shared his facial-hairstyle creations on instagram every Monday. 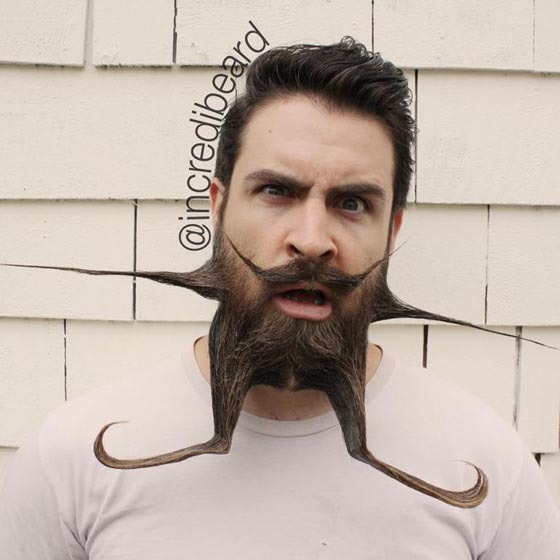 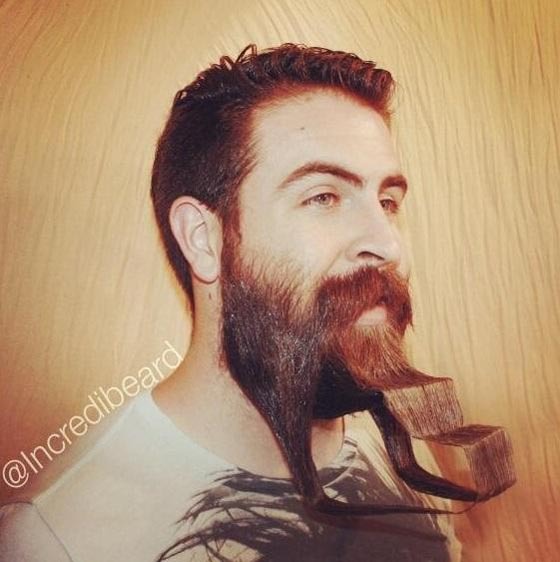 Dubbed Incredibeard, Webb has grown his facial fuzz to large proportions, which allows him to transform it into many shapes, styles and purposes. 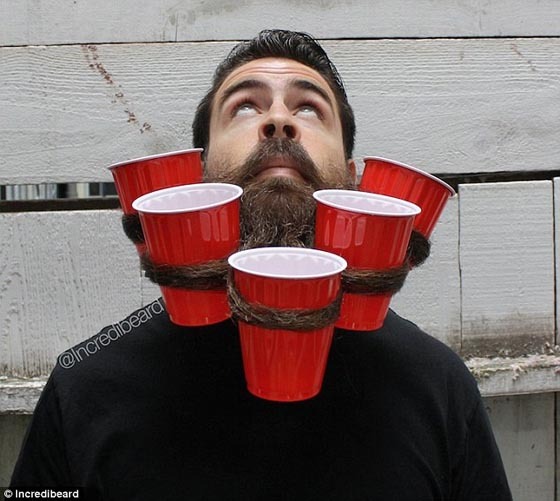 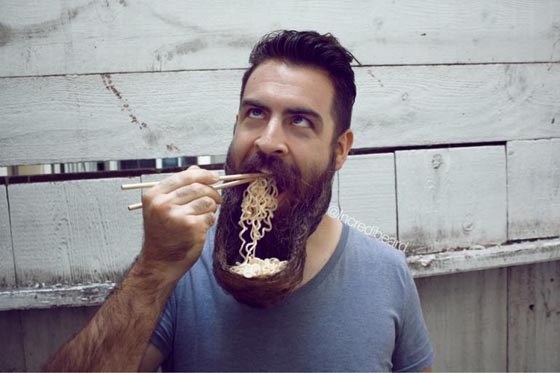 He has so many crazy/creative beard design including the Wookiee’s Uterus, the Egyptian Ballsack and the Big Bowl O’Beard Ramen. 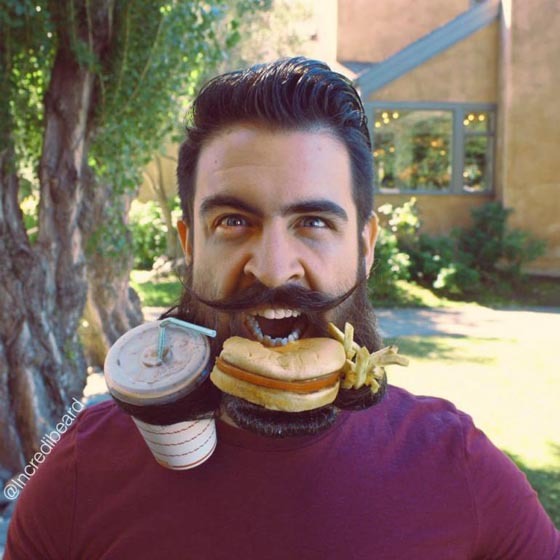 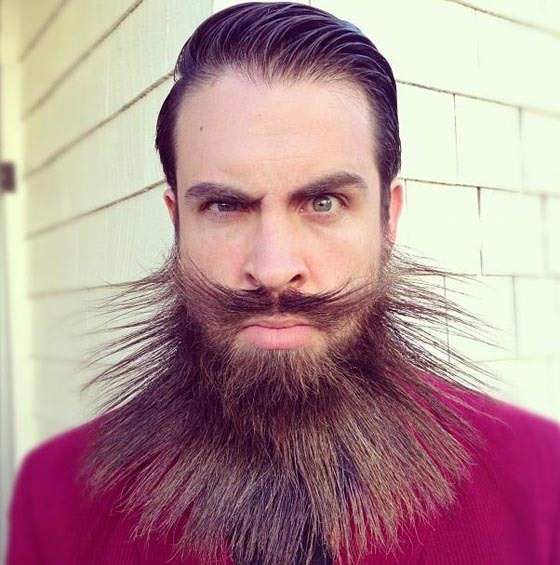 While Webb’s beard is something extravagant, he encourages other men to give a beard a try – Every man should attempt to grow a beard at one point in their life.